The Enertia is a revolutionary propeller that improves both acceleration and top speed on center consoles, high-horsepower pontoons, and stern drive-powered runabouts. 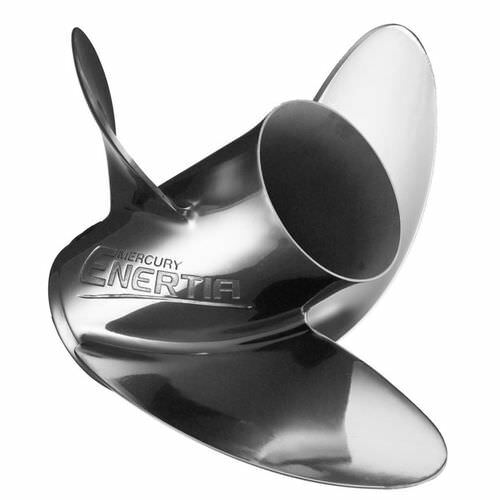 The Enertia was the first Mercury propeller to utilize the added strength and durability of Mercury’s X7 alloy, which is 30 percent stronger and four times more durable than conventional steels. X7 allowed Mercury’s propeller engineers to develop a propeller with thinner blades and higher rake angles – surpassing what is possible with traditional steels.